Please disabuse me of this notion, for I am not sure, but I am beginning to think that mid-range balls are not worth the money, i.e., a two-piece distance ball will give you just that with no control around the greens. A premium ball will give you good distance as well as control around the greens. A mid-priced ball will sacrifice a bit on distance as well as control around the green. Am I wrong? I am beginning to think that, for me anyway, a premium ball is the way to go. Are there any mid-level balls that play like premium balls? I like the E6's they feel like a premium ball but for half the price. I have also heard that the new TP burner ball is also hot right now. Theres a whole tread already going with this debate you should check it out. 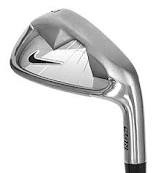 They say that the nike power distance soft is a good buy for the money, i tried some of the nike power distance balls last week and they freakin fly off the driver, but they are useless for chipping. I bought some callaway hx tours last night on ebay after reading all the reviews (mainly from golftestusa), and found that it has the best distance with accuracy along control too. I have only just started giving it a go but the Taylor Made Burner TP seems like a good ball. Might be worth a look, depending on your preferences. The OP already knows what that ball feels like. The e5 and e6 are definately worth the look, but do not expect the same amount of action around the greens. I've had great success with the Srixon Trispeed. It doesn't spin quite as much as a premium ball but it's easy enough to back up on full shots. It's only really noticeable when you are greenside and looking for maximum spin. Another ball that performed surprisingly well was the Cally Hot. It was quite capable for what is apparently a distance ball and you should be able to pick it up cheap. The e5+, e6+, NXT and NXT Tour, and Callaway Hot are all very decent mid-priced golf balls. I would agree from what I heard. Wilson Zip. Excellent ball. Long and spins plenty. The Nike Ignite ball has REAL good distance, and a fairly good spin. Along the linew of the Maxfli Fire Tour, but feels a touch softer. Still a LONG ball though. At the mid-priced level, the closest I have found in terms of spin and feel to a premium ball is the Bridgestone e5. Why? It has the Urethane cover spec'd on most premium balls. With its two-piece design, it doesn't sacrifice much, if any, distance. The other way to play a premium ball at mid-price is to get last year's model in the winter. Every year, one or more OEM's will bring out a new ball in the winter. With a little shopping, you can find balls like last years Nike One for under $30 per dozen. When TopFlite dropped its premium ball, I got TL Stratas for $10 per dozen. With respect to other mid-priced balls, you typically get a little more spin then a typical 2-piece design b/c of multi-layer designs. But you don't get the Urethane cover of the premium ball. This can be a good thing. If durabilty is important, the surlyn or ionomer cover on the mid-priced ball can be a wallet saver. Bottom line: Each price points has its positives and negatives. Each of us has to decide how to balance price, feel, distance, and spin to fit our game and budget. I was tired of the premium ball price. Tried the Srixon Trispeed and they just work for me. I just tried The new Callaway HX-Hot Bite last weekend. I was very impressed with them............long and they take the spin real well. I have a dozen Bridgestone e5 balls here ready to go. I have been chipping and putting some around my house with the e5, ProV1x, and Nike Platinum. For the best price/performance I would go with the e5. I believe that the new e5 is suppose to be even softer than the first model but I haven't seen one yet. I judge a ball by "the bite test" and by putting around with it for a while. I really have to give the e5 credit as it feels great during both tests for me, especially for it's conservative price tag.